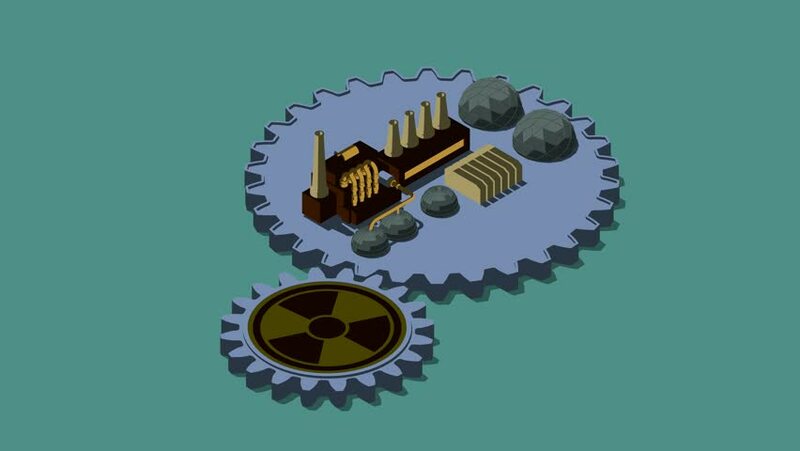 3D animation of gears that rotate. On one plant, on the second symbol of radiation. hd00:203D Animation rotation of symbol of science, ufology, chemical, biology, physics and inventory for science from glass. Animation of seamless loop.